It is often taken for granted that French cinema is intimately connected to the nations sense of identity and self-confidence. But what do we really know about that relationship? What are the nuances, insider codes, and hidden history of the alignment between cinema and nationalism? 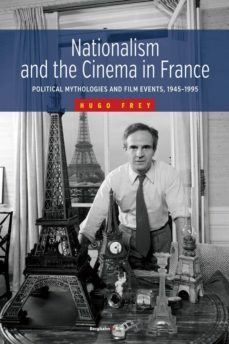 Hugo Frey suggests that the concepts of the political myth and the film event are the essential theoretical reference points for unlocking film history. Nationalism and the Cinema in France offers new arguments regarding those connections in the French case, examining national elitism, neo-colonialism, and other exclusionary discourses, as well as discussing for the first time the subculture of cinema around the extreme right Front National. Key works from directors such as Michel Audiard, Jean-Luc Godard, Jean-Pierre Melville, Marcel Pagnol, Jean Renoir, Jacques Tati, François Truffaut, and others provide a rich body of evidence.